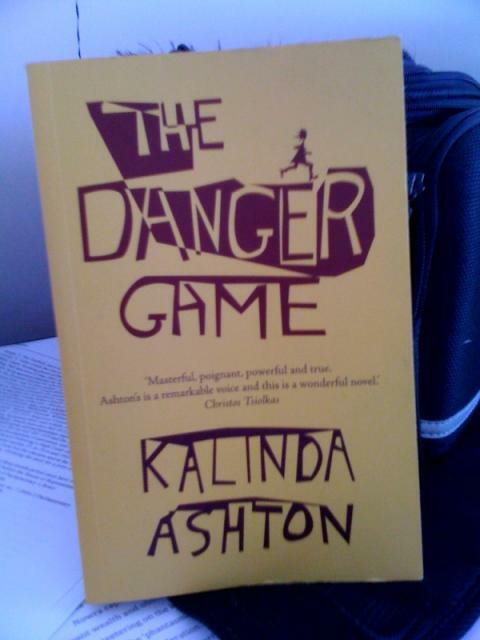 Congratulations to Overland‘s Kalinda Ashton on the publication of her novel The Danger Game (seen here artfully posed here in the Overland photo studio). More details of launches and such soon. Lovely photography guys, permission to use in all future promo material? Th e way it's positioned, it kinda looks like a weapon, or a free-floating signifer. Err…I can't get a decent photo of myself – thanks, jeff, for all those reminders about how squinty my eyes were in the old author photo – but you'd think the book would fare better!